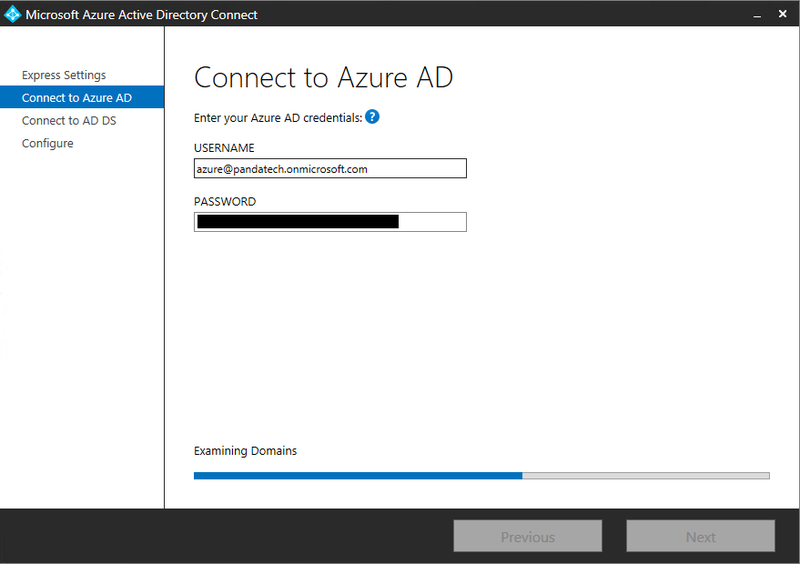 Azure AD is a great new subscription based product from Microsoft, perfect for Apps and Cloud Backups, however adding a custom domain and configuring it for single sign-on with you local Active Directory can be tricky. After deleting my custom domain twice and all my synced users once, we discovered this to be the easiest way to setup single sign-on in Azure. Sign in with the new user and update the password. 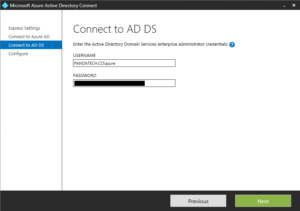 On a Domain Controller, install download and install Microsoft Azure Active Directory Connect. 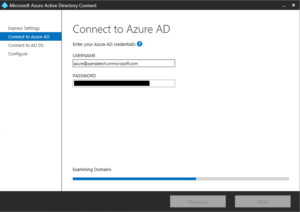 Run Azure AD Connect using the Express Settings, and sign in with the account you created in Step 3 on the first page. Sign in with an Enterprise Administrator on your domain in the second page. Check “Start the synchronization process as soon as the configuration completes”, and click Install. Installation should complete within a few minutes. The sync will automatically begin afterwards, and it may take some time depending on the size of your domain and your internet speed. Verify that accounts appear in Azure AD afterwards, and try signing into the Azure Portal with one of your local accounts. Hopefully this helps you configure single sign-on in Azure with your local Active Directory. Post any questions in the comments. You may also find Microsoft’s Azure AD Directory Integration documentation helpful as well. 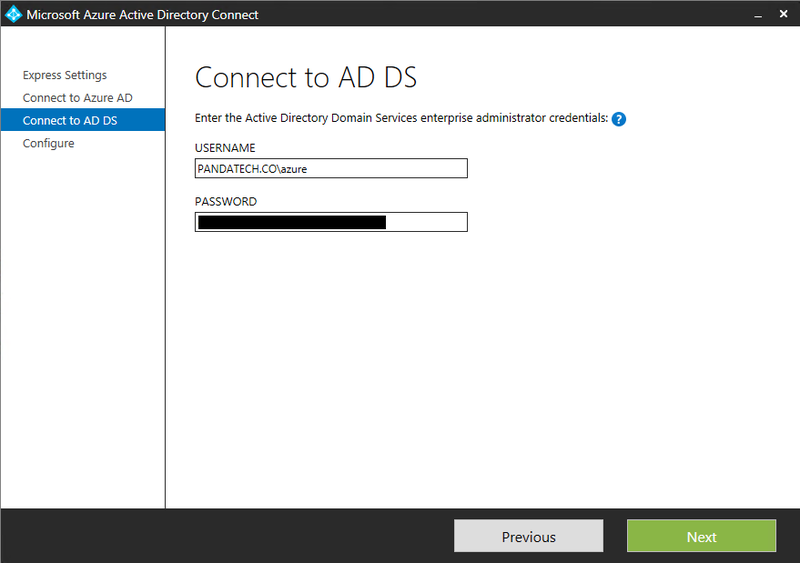 This entry was posted in Azure, Windows Server 2012 R2 and tagged Active Directory, Azure, integration, Single Sign-On. Bookmark the permalink.